Interested in a second hand plant? We inform you of our or our customers' plants available. If at this point you will find a concrete offer please contact us. 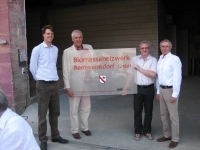 Under the "regional development Hunsrück" the state Rhineland-Palatinate supported with 1.5 million euros the establishment of a biomass heating with district heating network in Birkenfeld. 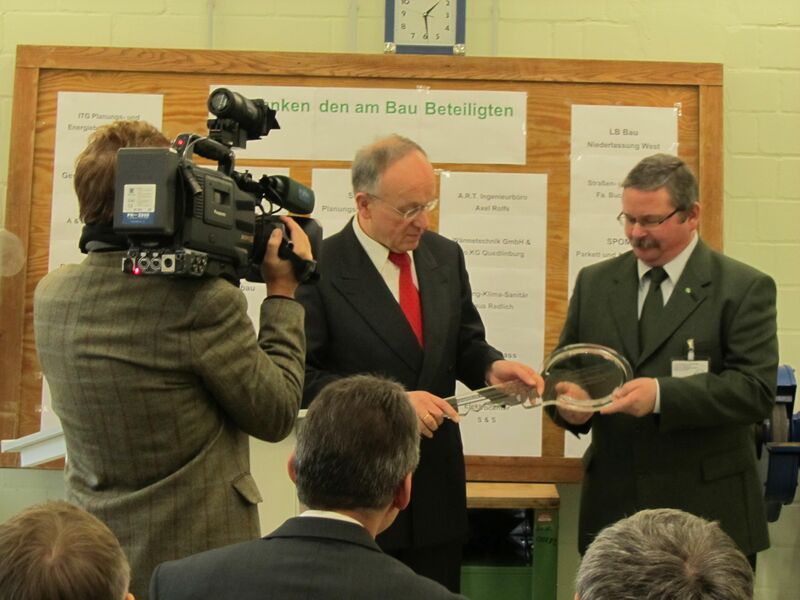 The county and the municipality Birkenfeld had applied to the project and eventually were among the winners. This burns occurring on site green waste. "This creates a regional material cycle, which holds the value to a large extent in the region Birkenfeld," said Economy Minister Lemke. 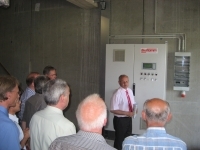 The heating plant with a heating network was created under the auspices of the Energy Services Company Rheinhessen-Nahe mbH (EDG) in a period of only 5 months. In the presence of representatives from politics, industry and the project participants, the official inauguration of this pilot project now took place. 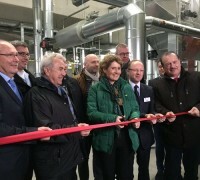 Minister Eveline Lemke raised in her speech out: "The new district heating concept is a exemplar of the use of renewable energy for the entire National Park region Hunsrück-Hochwald. Many interesting contacts could socialize Bioflamm on the 15th district forum in Biel / Switzerland. 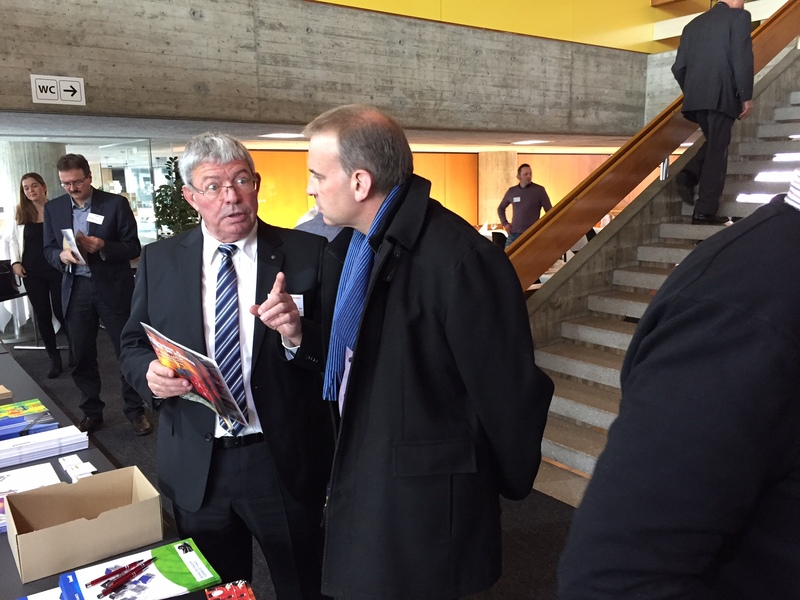 During the congress, interesting discussions with various stakeholders in the district heating sector in Switzerland could be performed. The Forum has become part of established mandatory program each renowned thermal utility and is therefore network for all players in the industry. 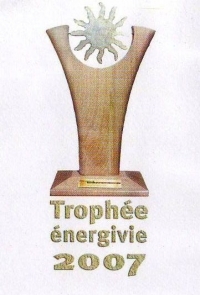 Our partners in Switzerland; the company Iseli Environmental and heating AG acted as a silver sponsor of the event. On the same level of information at the convention center several meeting participants took the opportunity to inform themselves about the Bioflamm-product. 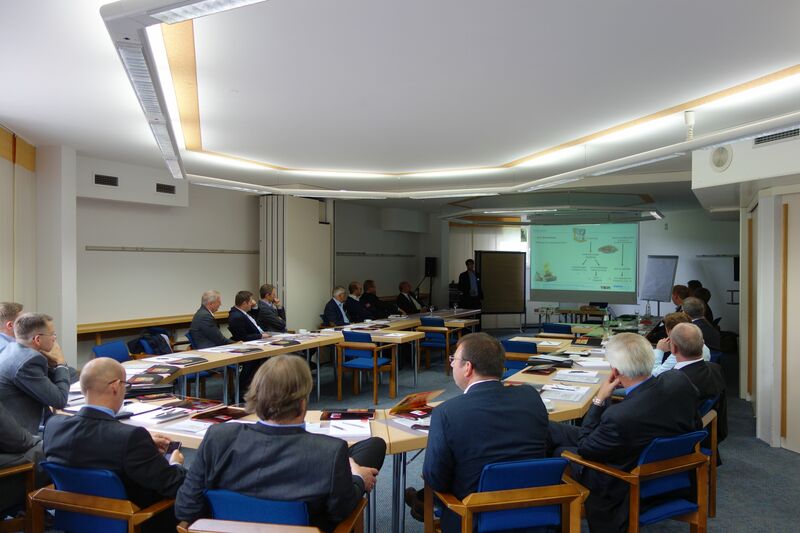 Moreover, were jointly discussed concrete projects that will be realized in the current year in Switzerland. 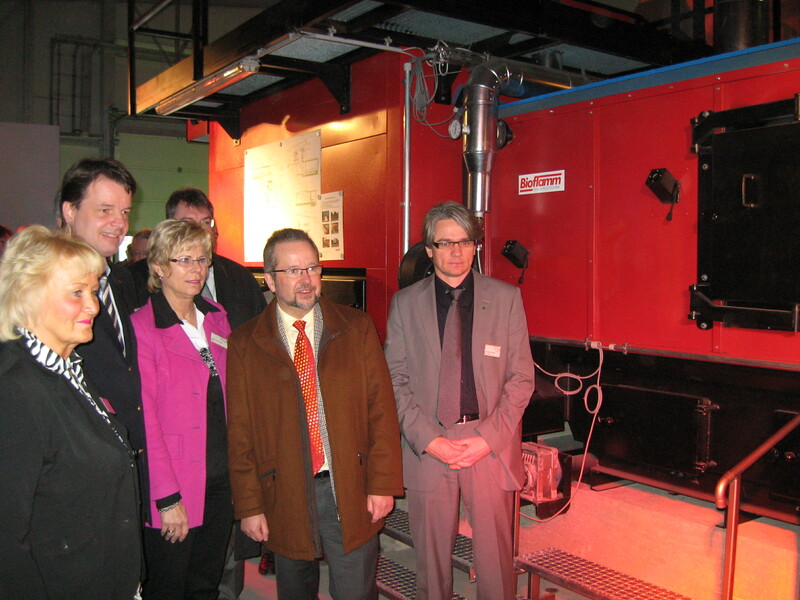 Sustainable Co2 reduced heat generation with biofuel wood. 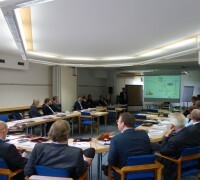 The seminar for selected guests bundled themes around the topic of renewable energy generation. Topics planning of biomass heating plants, aspects of environmental legislation, economic comparison of primary energy sources, fuel quality and availability, Solar heat, Innovative cold water systems, financing and contracting interesting speakers have been. In "green environment" in the mountainous land of our guests had the opportunity in addition to the technical presentations in a personal dialogue to contact each other in the areas of utilities, contractors, public utility companies, installation companies or consultants. Here are the close practical relevance was very important. For an attractive supporting program made the all participants ensure lasting memories panoramic trip through the Bergische Land. In American original Memphis Schulbusbus from the Year 1980 went to visit a traditional distillery. Here all participants could learn interesting for the operated since 1880. Production of spirits and liqueur specialties. 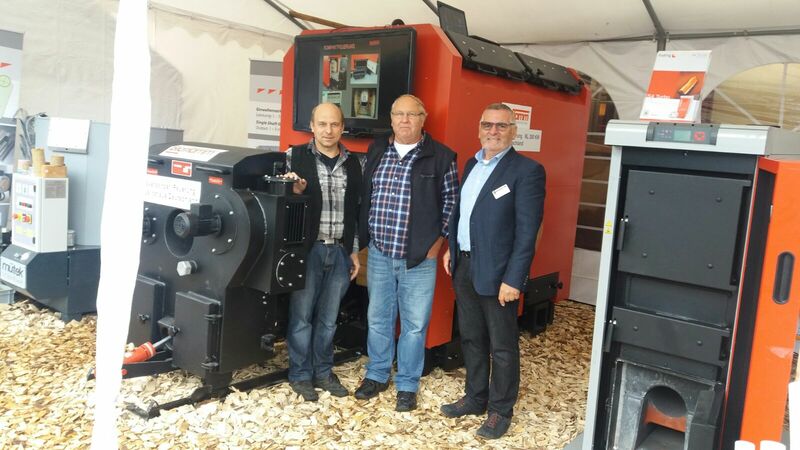 Even the original Bioflamm- boiler and fire water (according to VDI 0815) met with great interest of potential plant operators. "A very successful event" - this was also the summary of the participants. Interesting thought it was a lot of guests, to each other and exchange across sectors and actually take existing synergy for daily work. The repeatedly expressed desire for a repetition of such a seminar confirms our commitment to an open and individual dialogue with our customers and business partners. 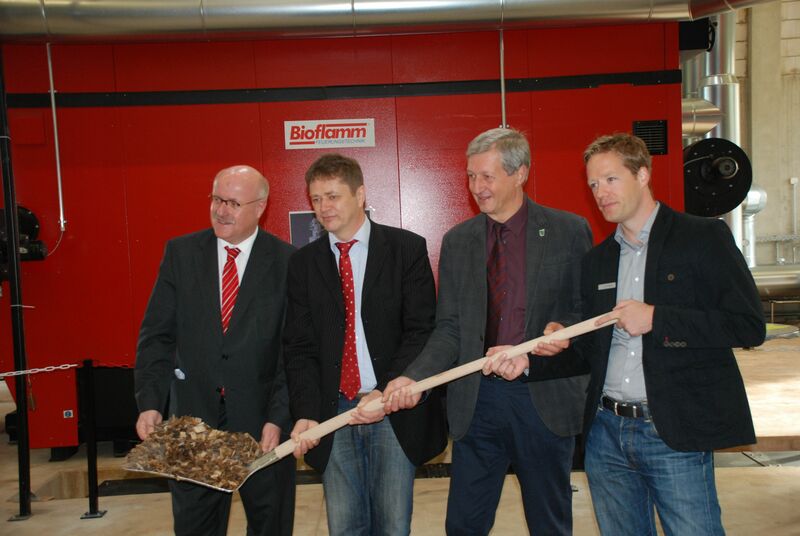 With the commissioning of the two Bioflamm woodchip boiler in Friedrichsfeld-Voerde start schedule the operation of the biomass heating. 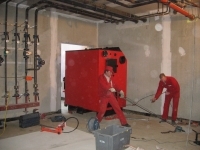 Operator is the district heating Niederrhein, subsidiary of Stadtwerke Dinslaken, which built the heating plant in the industrial area Voerde. 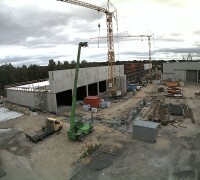 To be powered by an approximately 5 km long heating network an assembly plant of Siemens and 95 residential buildings. 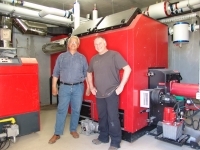 60 residential buildings located in sponsorship Wohnbau Dinslaken, and be changed by the heat carrier gas in an environmentally friendly wood chips. 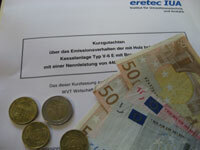 The cost of district heating will not change to gas. 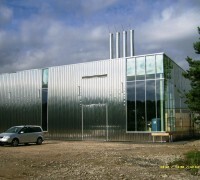 There are also other buildings which are to be connected by 2016 to the heating network. 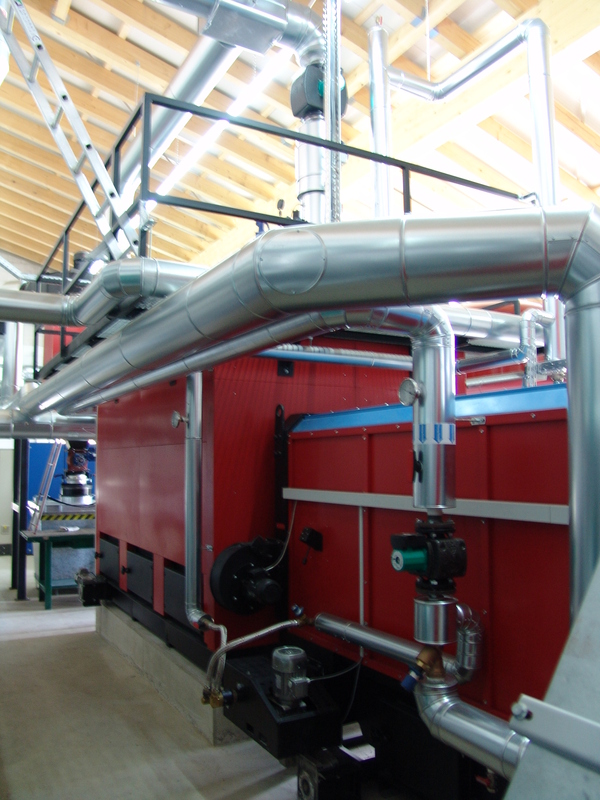 Through the use of two Bioflamm boilers (2 x 1,100 kW) annually 1,930 tons of CO2 can be saved, so another plus in the environmental balance. 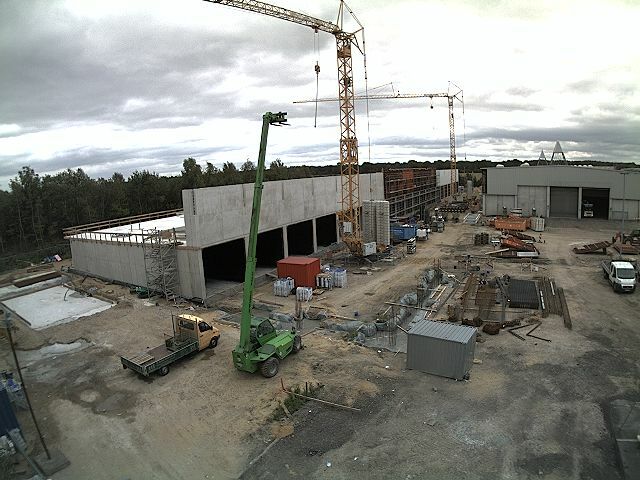 "The dense development and the possibility of large customers enable to supply with heat economical operation," said Hans Büch, authorized officer of the district heating Niederrhein. Around 8 Bill. 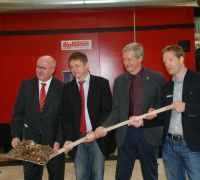 KWh of heat to produce in the future the new biomass heating plant of the city Verl. 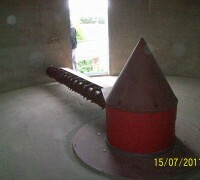 The base load provides a 2 MW Bioflamm-boiler. It will be burned with tree-cut material and natural finish wood chips, which are not interesting enough for the material use. The material is supplied mainly from regional suppliers. 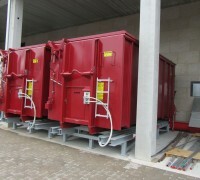 The fuel storage at the heating set with approximately 1,100 m³ storage for about 20 days. 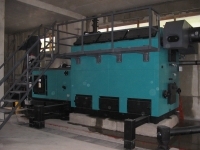 To expand the capacity of the space for a second biomass boiler already provided. 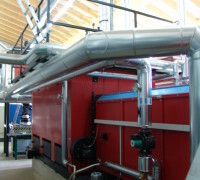 About a district heating network in addition to the nearby swimming pool and sports halls, a school center, the Senior Center St. Anna and about 100 residential and commercial buildings are supplied with environmentally friendly heat. Responsible for the heating of urban utilities. 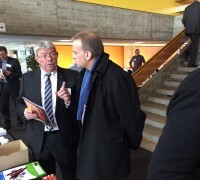 The Mayor Paul Hermreck was attended by representatives of the specialist planner, suppliers and numerous citizens of the city Verl launched the trial operation. 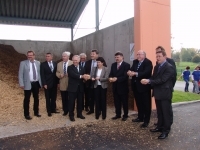 Den offiziellen Startschuss für den Betrieb der neuen Hackschnitzelheizung im forstlichen Bildungszentrum in Magdeburgerforth gab Sachsen-Anhalts Minister für Landwirtschaft und Umwelt Dr. Hermann Onko Aeikens. Die Einrichtung der Landesanstalt für Landwirtschaft, Forsten und Gartenbau erhielt ein neues Schulungsgebäude für die Aus- und Weiterbildung von Forstwirten. Den damit verbundenen größeren Wärmebedarf deckt ein 450 kW Bioflamm Kessel, welcher nicht nur die alten Ölkessel ersetzt, sondern durch den aus Landeswäldern gewonnenen Brennstoff Holz ca. 60.000 Liter Öl einspart. Am 15. 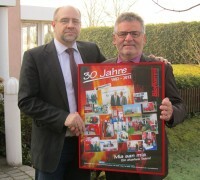 November 2010 tagte im rheinland-pfälzischen Ober-Olm der Pakt für Arbeit und Wirtschaft. Zuvor hatten sich neben Ministerpräsident Kurt Beck, Umweltministerin Conrad, Finanzminister Kühl, Bildungsministerin Ahnen sowie die Teilnehmerinnen und Teilnehmer am Gemeinde- und Schulzentrum über den neuen Nahwärmeverbund in Ober-Olm informiert, der aus dem Konjunkturpaket II gefördert wurde. 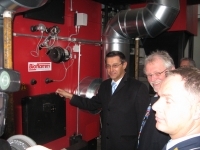 Der 300 kW Bioflamm-Pelletkessel mit einem 400 m langen Nahwärmenetz ist nur ein Beispiel für die 4 Anlagen, welche die EDG mbH als kommunaler Energiedienstleister in diesem Jahr gemeinsam mit uns realisierte. „Das Projekt verkörpert in beispielhafter Weise die Ziele unseres Sonderprogramms ‚Für unser Land: Arbeitsplätze sichern – Unternehmen unterstützen – nachhaltig investieren’. Es ist eine kommunale Maßnahme, die eine effiziente und nachhaltige Energieproduktion sichert und zudem zwei Bildungseinrichtungen versorgt“ resümierte der Ministerpräsident. Einen mit 25.000 Euro dotierten Energiepreis des bayerischen Wirtschaftsministeriums erhielt am 28. Oktober das Energiekonzept der AWO Roth-Schwabach. Dort wurde eine Großwäscherei von energieintensiver Dampfversorgung auf den Wärmeträger Thermoöl umgestellt. 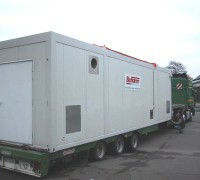 Eine Bioflamm-Traversalfeuerung beheizt den 500 kW Thermoölerhitzer. Das Resultat sind beeindruckende Einsparungen. Der Wärmeverbrauch konnte um 50% reduziert werden, die Wärmekosten um fast 70%. Zudem werden 95% der ehemaligen CO2 Emissionen vermieden. Im August diesen Jahres erhielten wir den Auftrag zur Lieferung einer 3 MW Kesselanlage für das Säge- und Spanplattenwerk Altai Forrest im sibirischen Larichiha in der Region Altai. Dabei handelt es sich um die nunmehr dritte zu liefernde Anlage. Der erste Kontakt entstand im Jahre 2005. Unser Feuerungskonzept überzeugte den russischen Holzverarbeiter. Die erste Anlage mit einer Feuerungswärmeleistung von 3 MW beheizt seit nunmehr 4 Jahren einen Thermoölerhitzer. 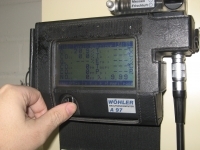 Die Erfahrungen mit der Kesselanlage unter den klimatischen Bedingungen in Sibirien bewogen den auch in wirtschaftlich schwierigen Zeiten expandierenden Kunden dazu, im Rahmen der LIGNA 2009 einen weiteren Auftrag über einen 3,5 MW Heißwasserkessel zu erteilen. Diese Anlage wurde bereits bei der Planung mit der Erweiterungsmöglichkeit auf eine weitere baugleiche Kesselanlage projektiert. In absehbarer Zeit wird diese den Weg auf die lange Reise antreten. Etwas mehr als 4 Jahre ist es her, dass Fabian Leyener, damals 10 Jahre alt, einen plötzlichen Herzstillstand erlitt. Seit dem ist in der Familie Leyener nichts mehr wie es war. Auch für die beiden jüngeren Zwillingsschwestern haben die Eltern weniger Zeit, da Fabian aufgrund der Spätfolgen viel Betreuung braucht. Nunmehr sind für die Betreuung umfangreiche Umbauarbeiten am elterlichen Haus erforderlich. Durch die Initiative des örtlichen Sportvereins, in dem die von Bioflamm gesponserten Juniorfussballer kicken und auch Fabian Leyener vor seiner Behinderung aktiv war, kommt es am 12. 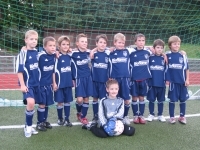 Juni zu einem Benefizspiel zwischen den Alten Herren des Vereins und der Traditionself des FC Schalke 04. Der Erlös dieser Veranstaltung wird Fabian und seiner Familie zu Gute kommen. Auch Bioflamm wird sich daran beteiligen. Denn Fussball bedeutet mehr, als dem Ball hinterherzulaufen ! Den Startschuss für den Betrieb des Biomasseheizwerkes des Kreis Wesel in Moers gab am 19.Februar Dr. Jens Baganz, Staatssekretär im NRW-Wirtschafts- und Energieministerium. Wie der Landrat des Kreises Wesel, Dr. Ansgar Müller anläßlich der Einweihung berichtete, beschloss der Kreis Wesel den CO2 Ausstoß der Kreisliegenschaften bis 2011 um rund 25% zu verringern und den Anteil erneuerbarer Energien am Primärenergiebedarf auf 12% zu erhöhen. 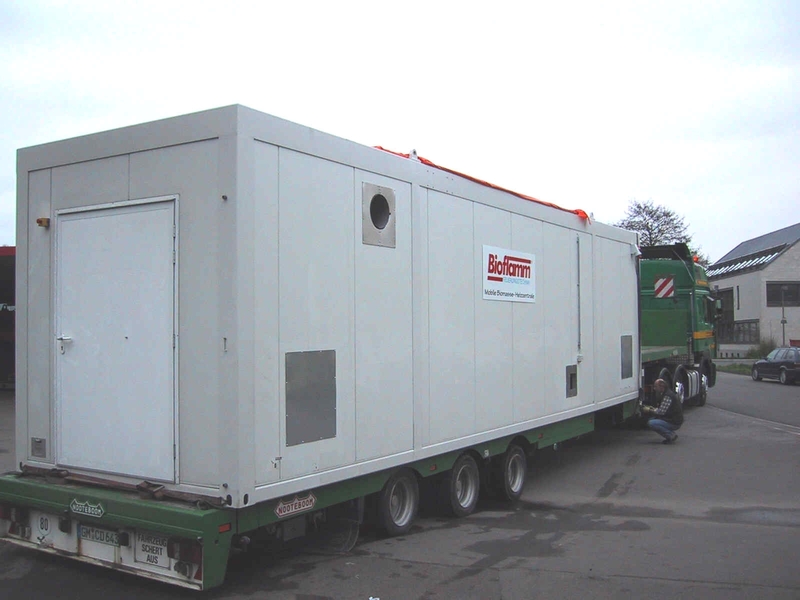 Einen wesentlichen Beitrag tragen dazu die beiden Biomasseheizwerke in Alpen ( 300 kW ) und Moers ( 700 kW ). Das Heizwerk in Moers versorgt das Berufskolleg Technik, das Handwerkliche Bildungszentrum, die Hilda Heinemann Schule, eine Turnhalle, das Dienstleistungszentrum sowie ein Verwaltungsgebäude. Die Hackschnitzel aus Landschaftspflegeholz kommen aus der Region. Der Bioflamm-Kessel sorgt für eine jährliche Co2 Einsparung von ca. 500 Tonnen. Holzhackschnitzel aus geschreddertem Holz sorgen in Bocholt seit Februar 2009 für warme Klassenräume: Am Euregio-Gymnasium wurde ein Bioflamm- Holzhackschnitzelkessel in Betrieb genommen, der in Kombination mit Erdgas funktioniert. Das spart Betriebskosten und ist umweltfreundlich, weil weniger Kohlendioxid (CO2) ausgestoßen wird. Es ist die erste Kombi-Anlage dieser Art in Bocholt. 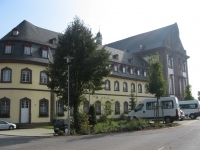 Im Laufe des Jahres 2010 soll auch die benachbarte Hohe-Giethorst-Schule angeschlossen werden. Der Holzhackschnitzel-Heizkessel, mit einer Leistung von 407 kW, deckt die Grundversorgung ab, die 65 % des Wärmebedarfs der Schule ausmacht. Statt der vorher erforderlichen 2,6 Millionen Kilowattstunden werden künftig noch 1,5 Mio. benötigt. Durch das Kombi-Heizwerk wird eine jährliche Energieersparnis von rund 26-42 Prozent erzielt und eine CO2-Verminderung von 400 Tonnen im Jahr erreicht. Dafür überreichte NRW Wirtschaftsministerin Christa Thoben den European Energy Award 2009. Von außen ein „Hingucker“ in futuristischem Design, so wirkt auf den Betrachter die neue Heizzentrale des Lyzeums für Architektur und Design „Lycee Le Corbusier“ in Illkirch-Graffenstaden unweit von Straßburg. Und das kommt nicht von ungefähr, ist doch die Einrichtung ihrem Namensgeber einem der bekanntesten Architekten des 20. Jahrhunderts verpflichtet. Die Einrichtung des französischen Ministeriums für Schul- und Hochschulwesen beherbergt seit 1977 Lehreinrichtungen welche im Bereich Architektur und Bauwesen Abschlüsse in Lehrausbildung, Gesellen- und Meisterausbildung bis hin zu europäisch anerkannten Studiengängen ermöglichen. Auf einem weitläufigen Areal befinden sich in zeitgenössischer Architektur Lehrgebäude von derzeit 9.000 m². Diese bieten Platz für 1.800 Schüler und Studenten sowie 200 Lehrkräfte. Rund 300 Schüler bewohnen das ebenfalls vorhandene Internat. Bis zum Jahr 2011 wird mit einem Gesamt-Investitionsvolumen von 47 Mio. Euro die Gebäudefläche um 16.000 m² erweitert. Diese Erweiterung bedingte die Erstellung eines zeitgemäßen und bedarfsorientierten neuen Wärmeversorgungskonzeptes. 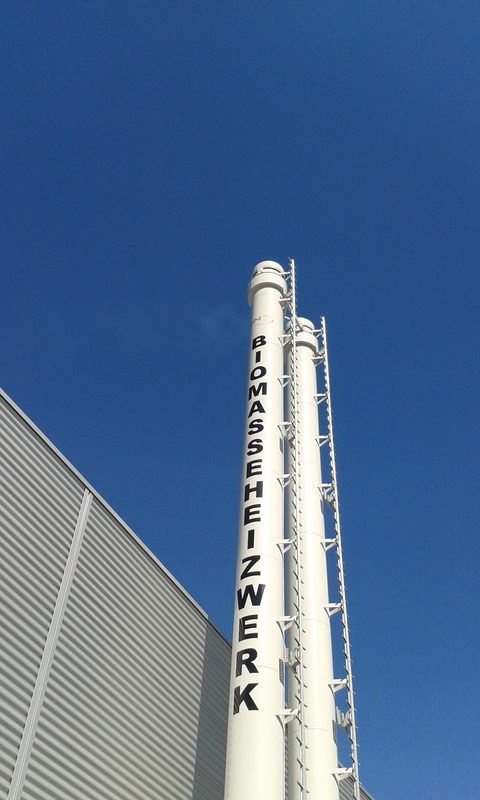 Herzstück des Konzeptes sind zwei Bioflamm-Pelletkessel mit einer Nennleistung von jeweils 1,1 MW. Diese Kessel dienen der Grundlastversorgung. Der jährliche Pelletsverbrauch beträgt ca. 3.000 m3, dies entspricht einer Heizöleinsparung von ca. 904.500 Litern sowie einer immensen Reduzierung des CO²-Ausstoßes. 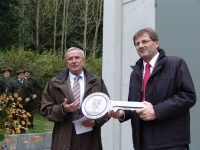 Eine beeindruckende Bilanz, die auch der Präsident der Region Elsass André Reichart anlässlich der feierlichen Einweihung der Heizzentrale hervorhob. Am 28.August wurde bei sommerlichen Temperaturen das neue Biomasseheizwerk im fränkischen Rentweinsdorf feierlich eingeweiht. Betrieben wird die 400 kW Bioflamm Anlage von Freiher von Rotenhan. Über ein Nahwärmenetz wird das aus dem 18. 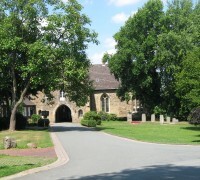 Jahrhundert stammende Schloss, das örtliche Rathaus, die Kirche mit Pfarramt sowie ein Gemeindezentrum versorgt. Die Hackschnitzel stammen aus dem Waldbesitz des Barons. Im Beisein von Landrat, Bürgermeister, Vertretern des ausführenden Planungsbüros Krug,Schmidt,Röthig sowie der örtlichen beteiligten Firmen stellte Freiherr von Rotenhan die neue Anlage der Öffentlichkeit vor. 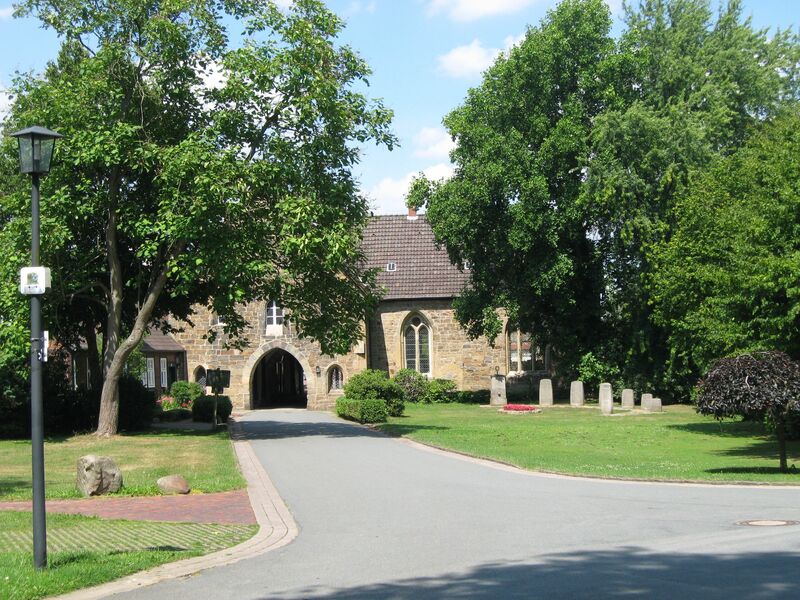 Das Kloster Loccum in Niedersachsen wird nach Jahrhunderten wieder mit Holz beheizt. Beherbergt wird dort das Predigerseminar der Landeskirche Hannover, welches in den Räumlichkeiten aus dem 18. Jahrhundert ansässig ist. Nach einer Machbarkeitsstudie des Kompetenzzentrums für Nachwachsende Rohstoffe Niedersachsen fiel die Entscheidung zugunsten einer Hackschnitzelheizung von 150 kW, welche eine in die Jahre gekommene Ölheizung ersetzt. Über das neue 300 m lange Nahwärmenetz werden nunmehr die einzelnen Gebäudeteile von einer neuen Heizzentrale versorgt. Der Brennstoff kommt aus dem 700 ha großen klostereigenen Wald, welcher von der Forstverwaltung des Klosters, einem der ältesten Forstbetriebe Deutschlands verwaltet wird. Die Landeskirche nutzt diese Anlage als Vorzeigeprojekt, stellen doch die wärmetechnischen Besonderheiten sowie der Denkmalschutz besondere Anforderungen. 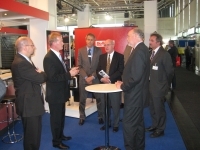 Im Rahmen der LIGNA 2009 in Hannover besuchte Staatssekretär Dr. Schink vom nordrhein-westfälischen Umweltministerium unseren Messestand. Gemeinsam mit Vertretern der Messeleitung sowie der Forstpolitik informierte man sich über die aktuelle Nachfrage nach Biomassefeuerungen sowie die allgemeine Geschäftslage. WVT Geschäftsführer Dipl. Ing. Thomas Biedenkopf beantwortete die Fragen des Politikers und nutzte die Gelegenheit, aktuelle Themen wie die Novellierung der 1 BimSchV sowie die Unterstützung der Landespolitik zur Etablierung der nachhaltigen Wärmeerzeugung anzusprechen. Im Gegensatz zu manchen anderen Ausstellern war die Resonanz und Nachfrage auf unserem Messestand sehr groß. Im September 2008 wurde der Neubau der Freien Schule Anne-Sophie in Künzelsau-Taläcker feierlich eingeweiht. Trägerin der Schule ist die gemeinnützige Stiftung Würth, deren Ziele die Förderung von Bildung und Erziehung ist. Die von Bettina Würth initierte Schule arbeitet als Ganztagsschule im Grundschul- und Sekundarstufenbereich. Das weitläufige Campusgelände wurde nach einem ausgeschriebenen Architektenwettbewerb in moderner Architektur mit hoher Funktionalität errichtet. Neben den Schulgebäuden steht neben einer Sport- und Mehrzweckhalle auch ein Schwimmbad zur Verfügung. Die Wärmeversorgung erfolgt im Grundlastbereich über einen 750 kW Bioflamm-Hackschnitzelkessel. Auf dem zehn Hektar großen Spargelfeld in Geiselhöring vor den Toren Straubings werden von der Firma Spargel + Beeren Baumann pro Saison 100 Tonnen des Königsgemüses geerntet. Der Clou ist jedoch, dass dies bereits ab März möglich ist. Der studierte Luft- und Raumfahrttechniker Andreas Eberhardt widmete sich als Betreiber vor ein paar Jahren der Konstruktion einer Bodenheizung für das Feld. Seit 2007 speist nun ein Bioflamm-Hackschnitzelkessel die etwa 90 Kilometer langen Heizschlangen zwischen den Pflanzreihen. Die Vermarktung des beliebten Gemüses ist so bereits vor Saisonbeginn möglich. "Fünf cm am Tag kann er so locker wachsen" sagt Eberhardt und ist stolz auf die größte Spargelheizung Bayerns. "Bis jetzt hat alles zu 100 % hingehauen!" Das neue Wissenschafts- und Kongresszentrum in Darmstadt wird bereits seit einem Jahr mit einem 600 kW Bioflamm-Kessel beheizt. Das im letzten Jahr eröffnete Darmstadtium ist ein architektonisches Highlight. 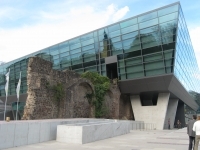 Besucher erleben ein völlig neues Raumgefühl und endecken neue Perspektiven zwischen der integrierten historischen Stadtmauer aus dem 12. Jahrhundert und einer multifunktionalen avantgardistischen Architektur. Durch die umfangreiche Nutzung von Erdwärme, Biomasse, Solarenergie und Regenwasser erfolgt die Versorgung der 18.000 m2 Gesamtfläche nahezu vollständig durch erneuerbare Energie. Die Calla, eine trichterförmige Blume aus Glas und Stahl im Foyer dient der Regenwassernutzung, der Wärmerückgewinnung aus der Abluft oder Kühlung der Zuluft. Die Photovoltaikanlage auf dem Dach produziert im Jahr ca. 70.000 Kilowattstunden. Der Hackschnitzelkessel übernimmt die Wärmeversorgung in der Heizperiode als auch die Versorgung der Klimaanlage im Sommer. 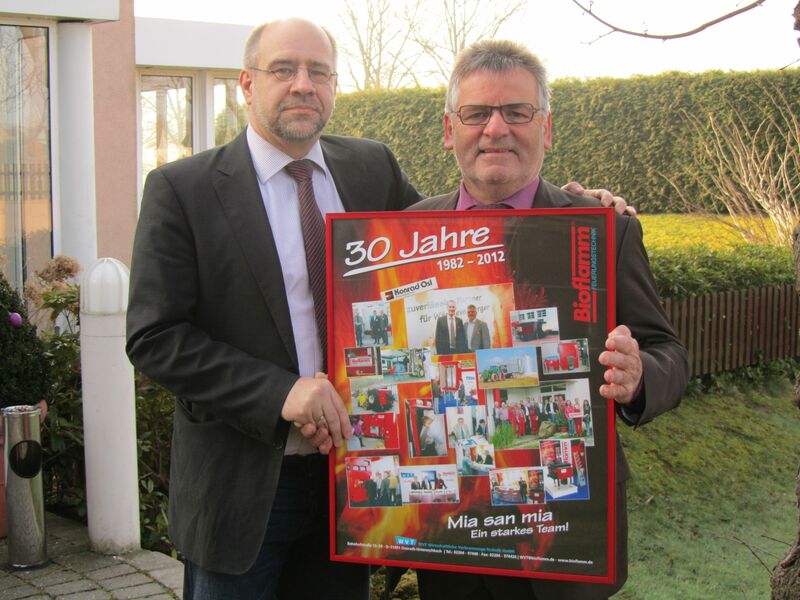 Einen glänzenden Jahresauftakt 2009 hatten im Januar die von Bioflamm gesponserten F1-Kicker. Im Turnier der SpVg Anzhausen-Flammersbach setzten sich die Jungs bereits ungeschlagen und ohne Gegentor in der Vorrunde durch und krönten die Leistungen letztendlich mit dem Turniersieg. Ebenso erfolgreich zeichnet sich auch der Jahresbeginn für des "große" Bioflamm-Team ab. stellte die neue Anlage der Presse vor. Mit einer Leistung von 1,3 MW soll der Bioflamm-Kessel rund 80 Prozent des Wärmebedarfs abdecken. Versorgt wird die Anlage mit Wald- und Sägewerkrestholz aus der Region. Die Umwelt wird jährlich um rund 1 500 Tonnen CO2 entlastet. 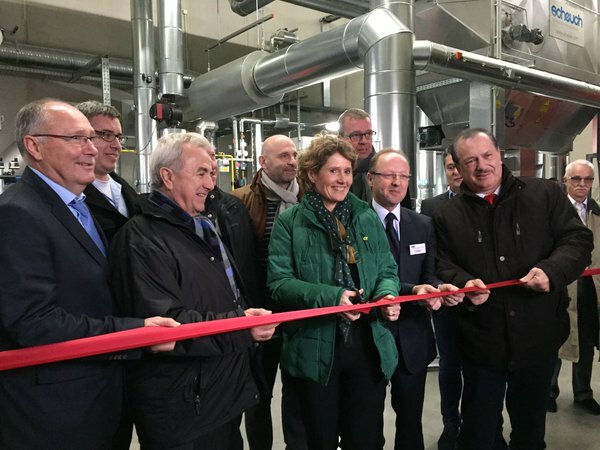 Ein neuer 200 kW Bioflamm Pelletkessel beheizt seit Beginn der neuen Heizperiode die nationale Gedenkstätte für den französischen Staatsgründer und Staatspräsidenten Charles de Gaulle im französischen Colombey. Der Museumskomplex am Ort der Ruhestätte von de Gaulle wurde im vergangenen Jahr umfangreich renoviert. In diesem Zusammenhang wurde auch die Wärmeversorgung auf den umweltfreundlichen Energieträger Holzpellets umgestellt. Die Einweihung des neuen Komplexes erfolgte unlängst durch den französischen Staatspräsidenten Sarkosy und Bundeskanzlerin Merkel. "Neue Besen kehren gut" - Das kann man auch von der F1 Mannschaft des TUS Wilnsdorf-Wilgersdorf sagen, für die Bioflamm ab dieser Saison als Trikotsponsor auftritt. Die ersten drei Pflichtspiele im neuen Outfit wurden mit 13:1, 5:1 und 6:1 gewonnen. Ab sofort gibt es also zwei erfolgreiche Bioflamm-Teams ! Am 9. August wurde in Rai-Breitenbach im Odenwald der offizielle Startschuss für den Betrieb des Biomasseheizkraftwerkes gegeben. Dort sorgt neben einem Holzgas BHKW für die Stromerzeugung ein Bioflamm Kessel für Wärme im Grundlastbereich. Versorgt werden über ein Fernwärmenetz 147 Wohnhäuser sowie das örtliche Georg Ackermann-Schulzentrum. Auch beim Bauen mit nachwachsenden Rohstoffen hat die Energiegenossenschaft neue Wege beschritten. Ein Großteil der freistehenden Außenwände des Heizwerkes wurden mit klassischen Strohballen isoliert. Die Dachfläche des Heizwerkes wurde zudem zur Aufnahme von Solarkollektoren genutzt. Dies freute nicht nur den Träger des Alternativen Nobelpreises MdB Dr. Hermann Scheer, welcher die Gastrede hielt. Gemeinsam mit Vertretern aus Politik, der beteiligten Firmen sowie den Bürgern des Ortes wurde das Heizkraftwerk seiner Bestimmung übergeben. Damit lokale Wertschöpfung entsteht, zeigen Bürger wie es geht. Zufrieden mit der neuen Heizung sind Jean-Pierre Prince und Direktor Denis Klein. 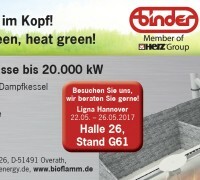 Im April diesen Jahres ging in Munster / Elsass eine 174 kW Bioflamm-Integralfeuerung in Betrieb. 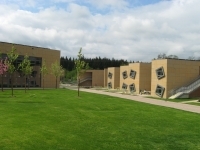 Die Anlage versorgt die Musikschule Maison du Kleebach ( AREFAC ). Die Schule wurde 1972 als öffentliche Einrichtung gegründet und bietet heute Aus- und Weiterbildungsmöglichkeiten für Gesang und Chormusik. Zum landschaftlich reizvoll gelegenen Anwesen gehören neben mehreren Musiksälen mit umfangreicher Instrumentenausstattung ein Tonstudio, eine Musikbibliothek, ein Freilichttheater sowie eine Hotelerie für 70 Gäste. Die Wärmeversorgung erfolgt nunmehr im Grundlastbereich mit Holzhackschnitzeln aus der Region. 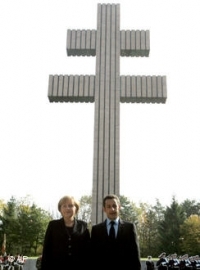 Die Anlage ist ein weiterer Beleg für das erfolgreiche und kundenorientierte Engagement in Frankreich. 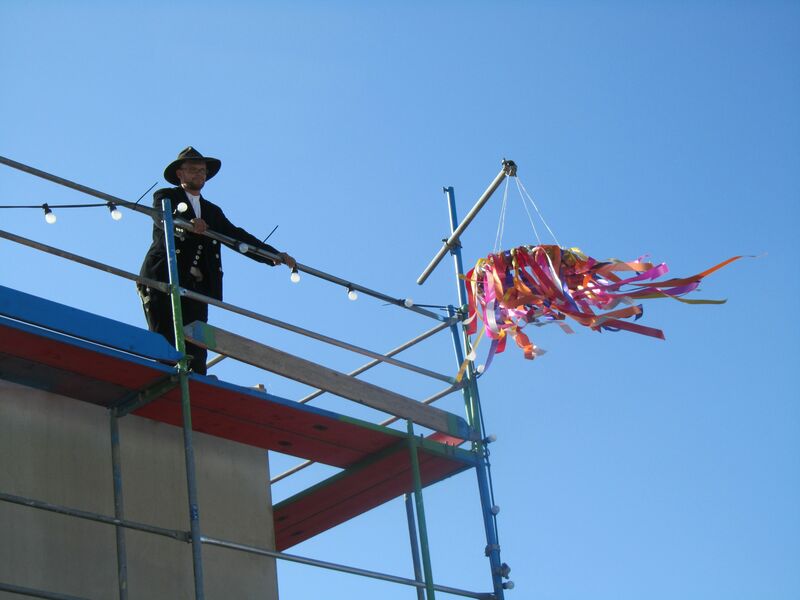 Am 11.April 2008 wurde in Bingen das siebte Holzheizwerk unseres Partners der EDG - Energiedienstleistungs Gesellschaft Rheinessen-Nahe mbH feierlich seiner Bestimmung übergeben. Die 830 kW Bioflamm Anlage versorgt über ein Nahwärmenetz die benachbarte Fachhochschule , das Neubaugebiet Bubenstück sowie das städtische Gartenbauamt. Die europaweite Ausschreibung der Wärmelieferung wurde von der EDG gewonnen und das Heizwerk in einer Bauzeit von neun Monaten errichtet. Teil des Gesamtkonzeptes ist neben der Holzhackschnitzelheizung die Errichtung eines BHKW. Ein weiterer Umweltbonus ist die Ausrüstung der Anlage mit einem Elektrofilter. Damit werden bereits heute die Feinstaubemissionswerte der derzeitigen gesetzlichen Vorgaben weit unterschritten. Im Beisein von Landrat, Anliegern und am Bau beteiligter Firmen wurde das Heizwerk nunmehr der Öffentlichkeit vorgestellt und unsere Partnerschaft mit der EDG um ein weiteres erfolgreiches Kapitel erweitert. 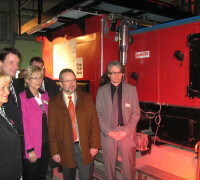 Im März diesen Jahres ging die zweite 750 kW Bioflamm-Kesselanlage im Eduardstift Helenenberg in Betrieb. Damit kann nun, zusammen mit der 2002 errichteten Kesselanlage gleicher Baugröße, nahezu die geamte Wärmeversorgung der Jugendhilfeeinrichtung mit dem erneuerbaren Energieträger Holz erfolgen. Während die erste Anlage im historischen Gewölbekeller erichtet wurde, findet die Neuanlage Platz in einem ausgebauten ehemaligen Werkstattgebäude. Somit konnten die Baukosten minimiert werden. Die Wurzeln des Klosters Helenenberg gehen auf das Jahr 1488 zurück. 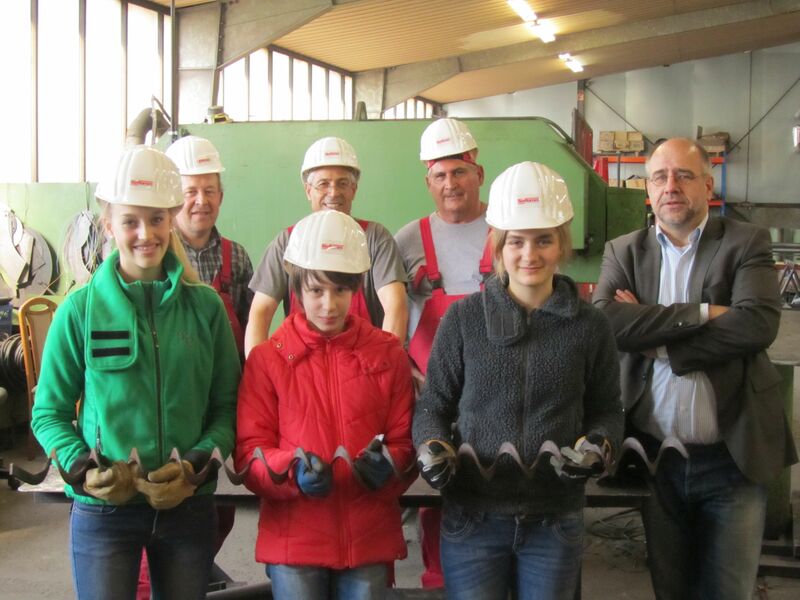 Heute beherbergt das Jugendhilfezentrum Don Bosco Wohn- und Ausbildungsstätten ( Haupt- u. Förderschulen, Gärtnerei, Bäckerei, Lackiererei, Holz- u. Elektrowerkstätten ) für Jugendliche im Alter von 11 bis 22 Jahren. Im Rahmen der Ringvorlesung des Wintersemesters 2007/2008 an der FH Köln, Campus Gummersbach referieren Professoren und externe Fachleute zu aktuellen ökologischen Themen aus technischer Sicht. Hierbei soll der Dialog zwischen Wissenschaft und Praxis angeregt werden. Diese, für Studenten als Wahlpflichtfach anerkannte Veranstaltungsreihe ist gleichermaßen offen für externe Gäste. Am 6. Dezember referierte als Gastdozent WVT-Vertriebsleiter Dipl.Ing. 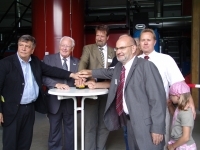 Jörg Wendenburg über Aspekte bei der Planung und Projektierung von Holzfeuerungsanlagen anhand der an der FH installierten 830 kW Bioflamm-Hackschnitzelheizung. Regen Zuspruch bei dem zahlreich erschienenen Publikum fand ebenfalls die anschließende Besichtigung der campuseigenen Heizung. Das Ferienresort "Gut Klostermühle" am Alt Madlitzer See südöstlich von Berlin wird zukünftig mit umweltfreundlicher Wärme aus einer 400 kW Bioflamm-Kesselanlage versorgt. Die Ursprünge der Mühle gehen auf das 14. Jahrhundert zurück. Historische Persönlichkeiten wie Friedrich der Große oder Kaiser Wilhelm II zählten zu den Gästen des Hauses. Das exklusive Gut rund um den See verfügt auf einem weitläufigen Areal über Hotel, Tagungsräume, Spitzengastronomie und Ferienhäuser. Eine Reitanlage mit Pensionsställen für 40 Pferde, Reithalle, Dressur- und Springplatz sowie 15 ha Weideland in waldreicher Gegend lassen keine Wünsche offen. „Und wir machen mit Volldampf weiter“, blickt der Hausherr, der international renommierte Düsseldorfer Architekt Walter Brune (u.a. Kö-Galerie, Rhein-Ruhr-Zentrum), nach vorn. Bis zum Jahresende wird „Gut Klostermühle“ komplett ausgebaut sein und dann für Gäste aus Nah und Fern 75 Zimmer der gehobenen Kategorie anbieten. Die Arbeiten am Kreativcenter (mit Musiksaal, Schwimmbad, Wellness und Fitness) stehen vor dem Abschluss. Auch neue Ferienhäuser am Waldrand, die an Investoren verkauft werden, sowie eine Tennisanlage sind „in Arbeit“. Am 26. Oktober wurde ein weiteres Biomasseheizwerk in Bayern seiner Bestimmung übergeben. 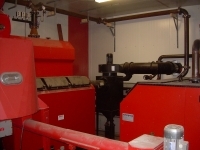 In der oberfränkischen Kurstadt Bad Rodach liefern zwei Bioflamm-Kessel ( 290 und 500 kW )seit 2 Monaten die Wärme für das Thermal-Erlebnisbad. Inmitten eines beliebten Naherholungsgebietes setzt die Stadt auf nachhaltige Wärmeerzeugung. Im Rahmen der feierlichen Eröffnung der Anlage lobte Ministerialdirektor Josef Huber vom Bayerischen Staatsministerium für Landwirtschaft und Forsten die Anlage als beispielhaftes Projekt. Die symbolische Schlüsselübergabe erfolgte durch den Generalplaner Krug-Schmidt-Röthig an Bad Rodachs Bürgermeister Gerold Strobel. Am 5. Oktober wurde im Beisein von Regierungspräsidenten Wenning, Landrat Söllner, Oberbürgermeister Schramm sowie Gästen aus Politik und Wirtschaft das neue Biomasseheizwerk in Kulmbach eingeweiht. 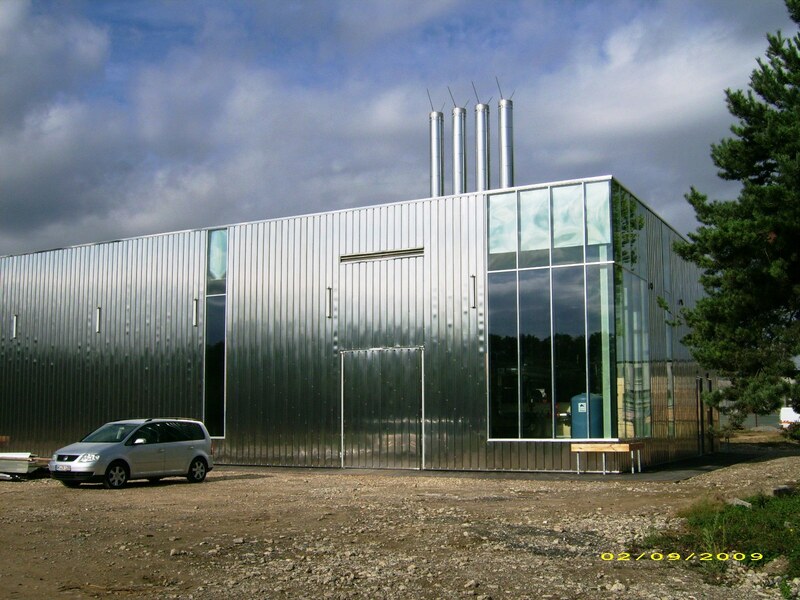 Versorgt wird das Schulzentrum Weiher mit der Carl von Linde Realschule, die Dreifachturnhalle des Landkreises sowie die AWO Förderschule mit zwei Bioflamm-Kesseln ( 290 und 550 kW ). 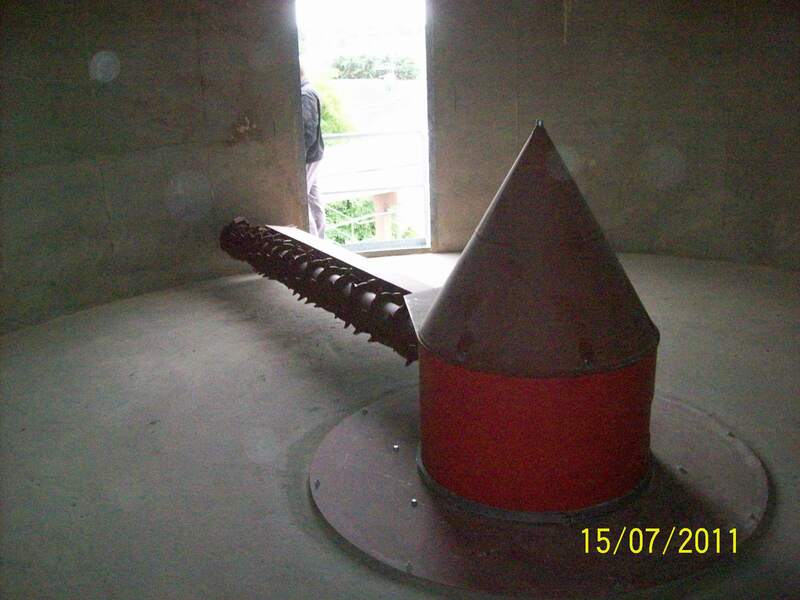 Betreiber ist die BMH Fernwärme GmbH, welche bereits eine Bioflamm-Anlage in Thurnau betreibt. Die jährliche Brennstoffmenge von ca. 1000 t Waldhackschnitzel und Landschaftspflegematerial ersetzt ca. 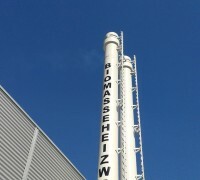 300.000 m3 Gas bzw. spart 450 t CO2. Das Dorf Rai-Breitenbach mit 900 Einwohnern und 1200 Schülern stellt seine Energieversorgung auf der Basis von Biomasse um. Daraus erwachsen wird eine starke Gemeinschaft und die regionale Wertschöpfung wird angeregt. 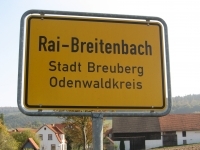 Rai-Breitenbach , ein Stadtteil von Breuberg im Odenwald hat sich zum Ziel gesetzt das erste Hessische Bioenergiedorf zu werden. Ziel ist es zunächst die Wärmeversorgung auf den Energieträger Biomasse umzustellen. 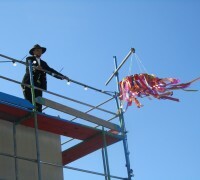 Dazu soll im Jahr 2008 ein modernes Heizwerk in Betrieb gehen. Bioflamm setzte sich gegenüber ausländischen Wettbewerbern durch und erhielt den Auftrag zur Lieferung der Kesselanlage. Als Referenz diente dabei für die Investoren unter anderem die von Bioflamm gelieferte Anlage bei der Energiegenossenschaft Lieberhausen, welche im Jahr 2000 ein vergleichbares Projekt realisierte. Ihre Heizraumtüren öffneten am 06.Oktober anlässlich des seit mehreren Jahren europaweit durchgeführten Biomassetages der Regionen viele Bioflamm®-Kunden. So auch der Landkreis Goslar, welcher die seit einem Jahr in Betrieb befindliche Pelletheizung im Schulzentrum Bad Harzburg der Öffentlichkeit vorstellte. Neben der 300 kW Bioflamm® Integralfeuerung präsentierten sich vom örtlichen Brennstofflieferanten über das Schornsteinfegerhandwerk, örtliche Heizungs-Installateure, Fachplaner, Finanzinstitute bis hin zu den Schülern der Gläsecke-Schule alle Beteiligten rund um das Thema „Umweltfreundliche Wärme aus Holz“. In seiner Eröffnungsrede bekannte sich ein Vertreter des Landkreises nochmals deutlich zum Interesse an einer regenerativen Wärmeerzeugung. Dies sei in naher Zukunft nicht nur eine ökologische sondern auch wirtschaftliche Alternative. 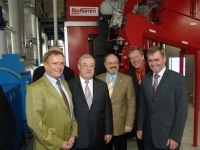 Als Mitglied im Forum Biomasseverbrennung des VDMA ( Verband Deutscher Maschinen- und Anlagenbau ) nahm Bioflamm am 04.09.2007 an der Anhörung zur Novellierung der 1. BImSchV im Bundesministerium für Umwelt, Naturschutz und Reaktorsicherheit teil. In einer Stellungnahme wurde auf Bedenken bezüglich des aktuellen Referentenentwurfs hingewiesen. Wir plädieren für eine Trennung der Verordnung in verschiedene Leistungsklassen an Stelle der in dem Entwurf enthaltenen Klassen von 4 bis 500 kW und 500 bis 1.000 kW, um der Praxis entsprechende realistische Grenzwerte festzulegen. Ferner wurde auf die zu erwartende Belastung unserer Kunden durch die höheren spezifischen Invstitionskosten hingewiesen. Im Hinblick auf die Klimaschutzziele der Bundesregierung plädieren wir dafür, die Vereinbarkeit von Umwelt- und Klimaschutz abzuwägen, um die zunehmende Wettbewerbsfähigkeit von Biomassefeuerungsanlagen gegenüber konventionellen Energieträgern nicht zu gefährden. 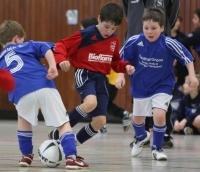 Über neue Trainings- und Spielbälle freuten sich die jungen Kicker der Bambinimannschaft des TUS Wilnsdorf-Wilgersdorf. Begeistert von den neuen Spielgeräten geht es jetzt beim Training mit Vollgas zur Sache. Mit Hilfe der neuen Bioflamm-Bälle wird sicher auch den nächsten Gegnern so richtig Feuer unterm Hintern gemacht. Zwei Bioflamm Kessel mit Leistungen von 1,5 und 2,2 MW versorgen im Grundlastbereich über ein Nahwärmenetz das KLlinikum Minden. 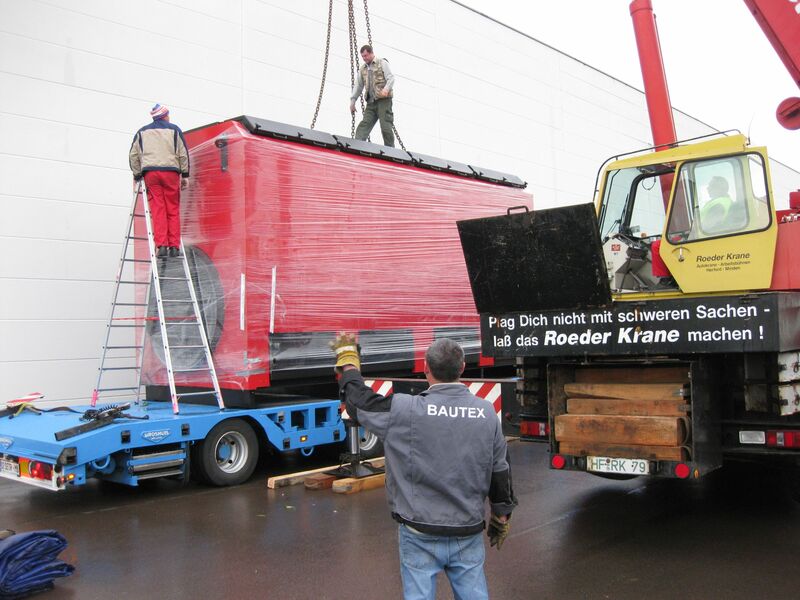 Beschickt wird die Anlage über einen unterirdischen Schubbodensilo, welcher LKW überfahrbar beschickt wird. Ein Elektrofilter sorgt für die Einhaltung der Staubgrenzwerte. 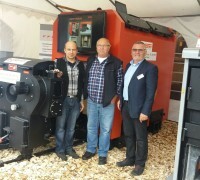 Mit der Auftragsunterzeichnung für die Lieferung einer 830 kW Kesselanlage für das Holzheizwerk Bingen geht unsere Partnerschaft mit der EDG Rheinhessen-Nahe GmbH in die 7. Runde. Der kommunale Wärmecontractor errichtete in den vergangenen Jahren 6 Holzheizwerke mit Bioflamm Kesseln der verschiedensten Größen in Rheinland-Pfalz. Die partnerschaftliche Zusammenarbeit auch über die Lieferung der Anlagen hinaus schätzen beide Partner, wie auch projektbeteiligte Unternehmen. Von der Leistungsfähigkeit des Contractors überzeugte sich auch unlängst Ministerpräsident Kurt Beck. Erfreuliche Schlagzeilen machte die Bioflamm®-Hackschnitzelheizung der Gemeinde La Petite Pierre im Elsass. 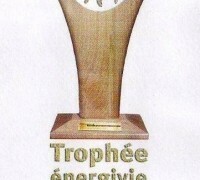 Ausgezeichnet wurde die kommunale Anlage als beispielhaftes Projekt mit der „ Trophee energivie 2007 “ der Region Elsass. Die 600 kW Bioflamm® Integralfeuerung versorgt ein Seniorenwohnheim, mehrere Wohnhäuser sowie eine Feriensiedlung. Mit dem Preis bestätigt sich auch unser Engagement auf dem französischen Markt. Allein im letzten Jahr konnten im kommunalen Bereich 8 Anlagen platziert werden. Einen Besuch in dem Gartenbaubetrieb Kortmann in Lüdinghausen nutzte Grünen-Chefin Claudia Roth, um sich über die umweltfreundliche Holzhackschnitzelanlage zu informieren. Der 600 kW Bioflamm-Kessel versorgt Wohn und Gewächshäuser. 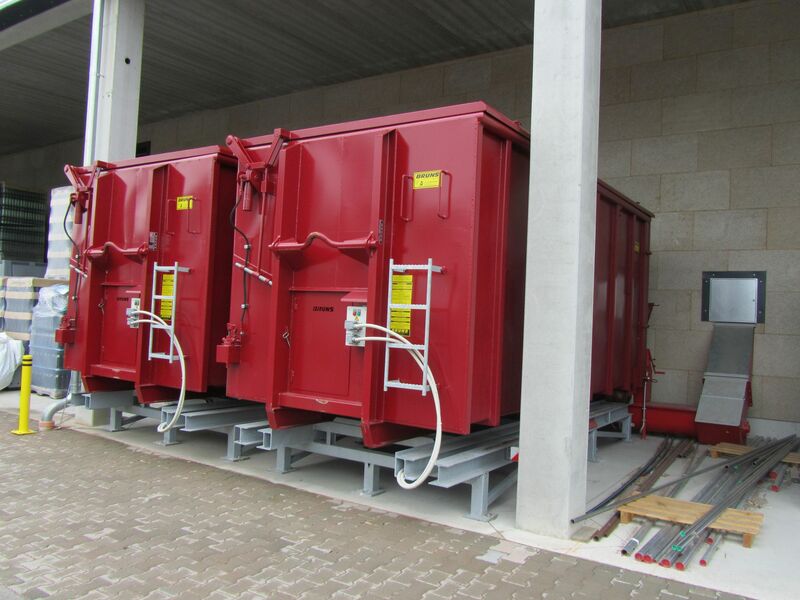 Einen 170 kW Pelletkessel erhielt der Neubau des Schulzentrums Walbach der Gemeinde Engelskirchen. Ein klassisches Heimspiel hatten die Monteure bei der nur 25 km vom Stammwerk WVT entfernten Baustelle. Nach der problemlosen Montage wird die Anlage zur nächsten Heizperiode voll einsatzfähig sein. Der Brennstoff: Holzpellets wird zudem dazu beitragen, dass in der Schule nur noch die Köpfe der Schüler rauchen werden. Die Wärme für das Hallenbad der Stadt Lahnstein kommt zukünftig aus einer 400 kW Bioflamm-Hackschnitzelheizung. Im Beisein von Mitgliedern des Bauausschusses der Gemeinde, Architekt und ausführenden Firmen startete Oberbürgermeister Labonte den Probebetrieb der Anlage. Trotz hochsommerlicher Temperaturen ließen es sich auch Vertreter der regionalen Presse sowie eines regionalen Fernsehsenders nicht nehmen, diese neue Anlage in Augenschein zu nehmen. Das 'Futter' für die Kesselanlage liefert die örtliche Forstveraltung. Einem möglichst flexiblen Brennstoff-Einsatz wurde mit der Dimensionierung der Fördertechnik Rechnung getragen. So kommen beispielsweise ein Doppel-Kratzkettenförderer und eine Hydraulische Einschubvorrichtung zur Anwendung. Mit Beginn der Freibadsaison wird die neue Anlage voll zur Verfügung stehen. Neutrale CO2 Bilanz, nachwachsender und günstiger Brennstoff – schon allein diese Vorteile sprechen für das neue Biomasseheizwerk Seßlach, welches das neue Fernwärmenetz zur Wärmeversorgung von Wohn- und Geschäftshäusern im Altstadtring, einer Behinderteneinrichtung mit Wohnheim und Werkstätten, eines Schulzentrums, eines Landhotels sowie eines Pfarrheimes speist. Am 19. März erfolgte im Beisein von Vertretern der örtlichen Politik und Wirtschaft sowie Bürgern des Ortes die feierliche Einweihung durch den bayerischen Landwirtschaftsminister Josef Miller. „Wir tragen heute die Verantwortung für die Welt von Morgen. Darum planen und handeln wir zukunftsorientiert.“ Mit diesen Worten unterstrich der Minister den Stellenwert nachhaltiger Energieerzeugung. Eingespart werden dabei ca. 500.000 Liter Heizöl, was neben dem ökonomischen Vorteil eine CO2 Einsparung von 1.300 t pro Jahr bedeutet. 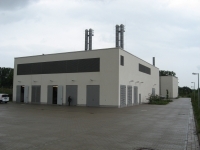 Weitere 25 Tonnen CO2 spart die auf dem Dach der Brennstoff-Lagerhalle installierte Photovoltaikanlage. 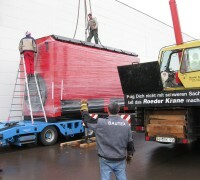 Eine 830 kW Bioflamm® Traversalrostfeuerung versorgt die Betriebsgebäude der Firma Lindenschmidt in Kreuztal-Krombach mit Wärme. Darüber hinaus wird eine Abwasser- und Schlammaufbereitungsanlage mit 160°C VL-Temperatur versorgt. Als Brennstoff dienen im eigenen Hause aufbereitete Althölzer. So erzielt der Entsorger durch Verwendung eigener Ressourcen sowie Optimierung des Aufbereitungsprozesses eine doppelte Wertschöpfung. Die Energiezentrale errichtete der mittelständige Vorzeigebetrieb komplett neu. Neben der Funktionalität wurde auch großes Augenmerk auf die Optik gelegt. Einen Besuch im Holzheizwerk Eslohe unternahm NRW-Umweltminister Uhlenberg. Die 1,5 MW Bioflamm Anlage, welche über ein Nahwärmenetz das Schulzentrum, Schwimmbad, Kurhaus und Seniorenwohnheim mit Wärme versorgt, ist bereits seit 2003 in Betrieb. Erläuterungen zur Technik gaben das Planungsbüro EMKON sowie Vertreter der Stadt Eslohe. Das Heizwerk ist dem Vernehmen nach eines der größten in NRW geförderten Anlagen. Die Wärmeerzeugung aus Holz ist nicht nur eine wirtschaftliche Alternative zu Öl und Gas sondern auch eine ökologische. Dies ist Grund genug für Bund und Länder diese Technologie finanziell zu fördern. Unsere Anlagen erfüllen die damit verbundenen Auflagen an Emissionen und Wirkungsgrad. Dies belegen Gutachten zertifizierter Messinstitute. Wir informieren Sie gern über den aktuellen Stand verfügbarer Förderprogramme.